SINGAPORE (BNc) — From 25 to 28 November 2015 more than 150 attended the 8th annual Four Seas Lectureship of the Four Seas College of Bible and Missions. Those present on the last day are pictured above. Lectures were held daily from 9 a.m. to 3:15 p.m. on “Living Soberly and Righteously.” The afternoon schedule included a separate lecture for men and women. Twenty-two lessons were presented by these speakers from America, Australia, China, India, Indonesia, Malaysia and Singapore. 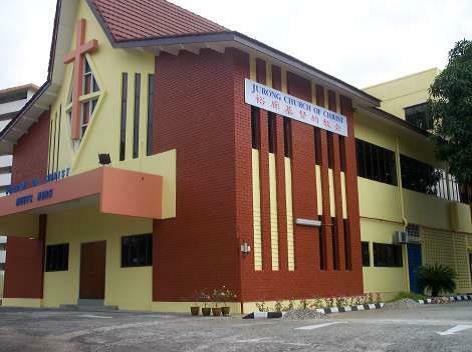 Four Seas College owns and operates the third floor of the building of the Jurong church of Christ. Concurrently with the lectureship, gospel meetings were held in the evenings at the Jurong and the Lim Ah Pin Road congregations. The themes of these meetings respectively were “World in crisis” and “Answers to life’s greatest questions.” Preaching was done by Billy Bland, Tim Burroughs, Dennis Johnson, Larry Keele and Glen Tattersall. The school was founded in 1965 as Malaysia Christian College. It was renamed Four Seas College of Bible and Missions in 1967. For 50 years the school has been training men to be preachers and women to be workers in the Lord’s kingdom. The school has about 20 full-time students each year, enrolled in a two-year course covering every book of the Bible and including other related subjects. In recent years students have attended from Australia, China, India, Laos, Malaysia, Myanmar, Philippines, Singapore and Vietnam. Peter Chin is President, Patrick Swayne is Dean of Academics, Eddie Ee is Dean of Students and Pooi Fun Chin is secretary and librarian. 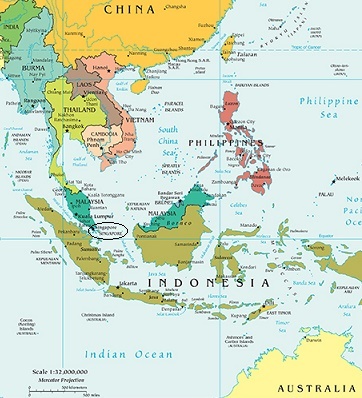 Singapore is a hypermodern city-state located at the southern tip of the Malay peninsula.